The Hillsong Conference started on Wednesday evening and concluded on Friday. It was amazing to be in the London O2 arena with almost 20,000 Jesus followers from around the world. The music of Hillsong United and other groups was powerful, well presented, and seemed to be the thing that brought the diverse crowd together. Music is definitely the universal language. 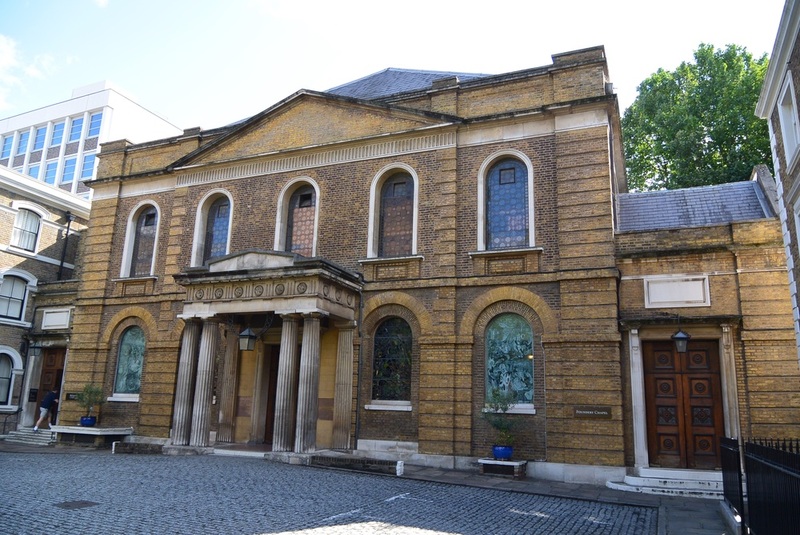 With the Hillsong Conference over, we began our Wesley tour on Saturday with a visit to City Road Chapel, London. While we will visit other sites along the way, I'll only blog about those places we visit that are of particular importance to Methodism. For pictures of other sites, I invite you to visit my FaceBook page. The headquarters of the Methodist movement started in an abandoned cannon factory or foundry. After a number of years, Wesley decided to move the headquarters from the foundry to a new building across from the Bunhill Fields Cemetery on City Road, London. It was resolved “To build an elegant church such as even the Lord Mayor might attend without any diminishing of his official dignity; that it should be wholly supplied by ordained clergy of the Established Church, except on weekdays, and that the liturgy should be read at Sunday morning and evening services.” The City Road Chapel is an active a vital church today and currently has a membership that represents the diversity of London itself. 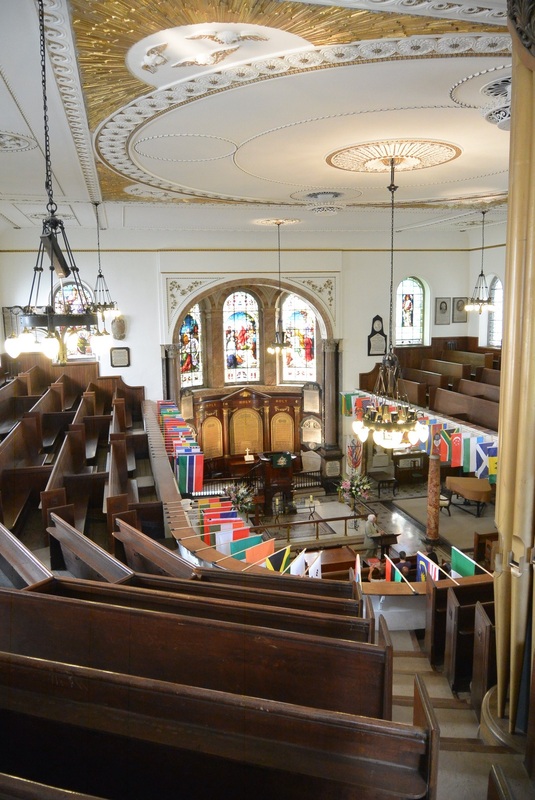 There are 49 flags hanging in the worship space that represent the many countries of those who attend worship. 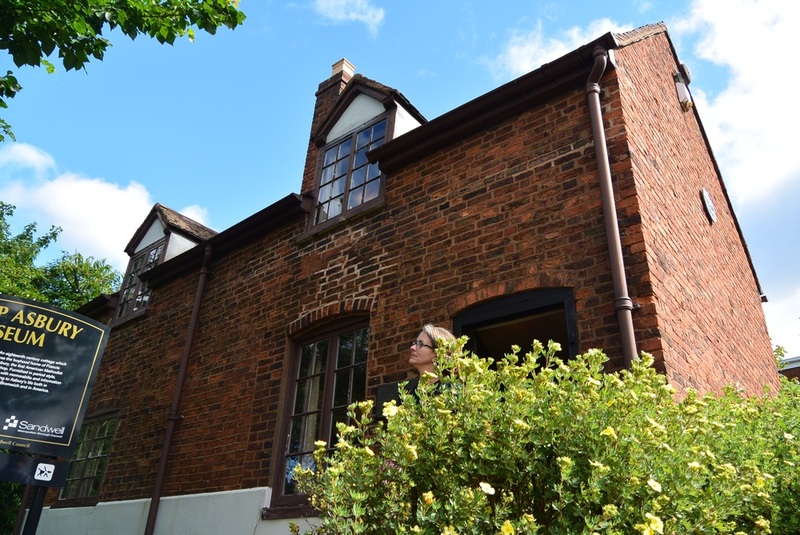 A separate residence was also built for John Wesley who had lived for years above the old foundry building. 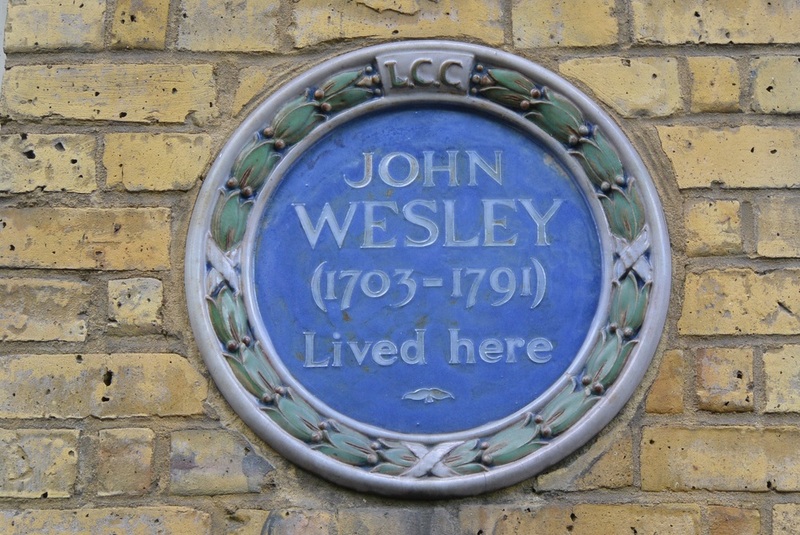 Wesley moved into the house on the 9th of October 1779 and used it--intermittently as he was often out preaching and attending to the business of the Methodist Movement--as his London home. He shared the home with his preachers until his death on March 2, 1791. Today the house is a museum that is filled with mementos of Wesley's life. On Sunday we traveled to Oxford, and Stratord-Upon-Avon. The weather was wet and cold and so we decided to make a return visit to Oxford the next day so that we might better see and visit the particular sites in Oxford important to our Methodist heritage. I'll pick up with our journey as it continued on Monday. After a brief visit at the Coventry Cathedral, we moved on to the boyhood home of Francis Asbury, the architect of American Methodism. In 1771, at the age of 26 Asbury attended the first conference of the Methodist movement in Bristol. When John Wesley said on Tuesday, August the 26th that "Our Bretheren in America call aloud for help--who are willing to help them?" Asbury immediately volunteered and was approved by Wesley and the conference to go. Asbury set sail for America on September, 1771. Asbury arrived in Philadelphia on October 27, 1771. The next day he preached his first sermon at St. George's Church. Today, St. George's is the oldest place of worship to first be called a Church. For the next 50 years, Asbury would grow the Methodist church in America. Asbury never had a home or any possesions beyond his horse, saddle, bedroll, a Bible and a few other necessities. In his lifetime, the church grew from 1,000 to 200,000 members. He is the only Methodist who traveled further on horseback than John Wesley. After leaving Francis Asbury's boyhood home, we made our way back to Oxford. Our first stop was at Wesley Memorial church (A church built as a memorial to the Wesleys in 1878 a number of years after their death) to hear from the Wesley scholar and pastor of the church, Rev. Martin. Afterwards, we went on a walking tour visiting Lincoln college where John Wesley was a fellow and St. Mary's church where Wesley preached several times. Oxford is extremely important to Methodism. Both John and Charles Wesley were undergraduates at Christ Church. They were also ordained in the Cathedral. 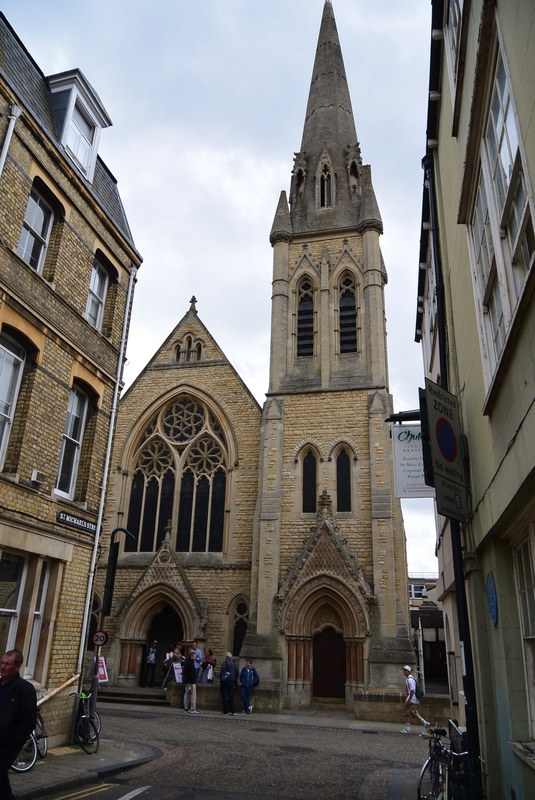 It was in Oxford that the small group the Wesley's had gathered around them were first called "Methodists" because of their "methodical" approach to Christianity. Also nicknamed the "Holy Club" they attended chapel frequently, met for prayer and bible study, and visited the prisons. They left Oxford in 1735 to travel to America. After their return, they experienced a conversion--most notably John's "Heart warming experience" at Aldersgate Street--which fired them up for the expansion of the Methodist movement in England and the birth of the Methodist church in America. Tomorrow we head for Bristol. Hopefully I can post more later. Also, Please forgive any mistakes you might find in this blog. I'm typing on an Ipad with a wireless service that constantly goes in and out.